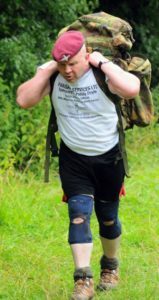 On 11 May 2019, ex-PARA Paddy Doyle will be attempting his 650th career Fitness Endurance Challenge and World Record. The four events are classed as one fitness strength challenge record. Paddy is a former member of 2 PARA and since leaving the regiment he has turned his athletic energy into beating strength speed stamina boxing martial arts records. His first fitness endurance record was in May 1987 and he has continued to break records since then. 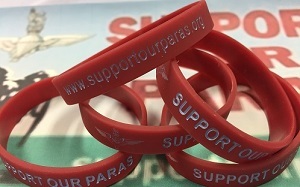 The new SUPPORT OUR PARAS wristbands are available to order from the Forces Store - click here for details. Enter your name and email address below to sign up.